From Goodreads.com: "Trudy is a polished, college-educated young woman from a respectable upper middle-class family, and it’s only a matter of time before she’ll marry Ernst, the son of her parents’ closest friends. All should be well in her world, and yet Trudy is restless and desperate for more stimulation than 1897 Milwaukee will allow. When she falls in love with enigmatic and ambitious Oskar, she believes she’s found her escape from the banality of her pre-ordained life. Alienated from Trudy’s family and friends, the couple moves across the country to take a job at a lighthouse in the eerily isolated Point Lucia, California. Upon arriving they meet the light station’s only inhabitants—the Crawleys, a family whose plain appearance is no indication of what lies below the surface. It isn’t long before Trudy begins to realize that there is more going on in this seemingly empty place than she could ever have imagined. Gorgeously detailed, swiftly paced, and anchored in the lush geography of the remote and eternally mesmerizing Big Sur, The Edge of the Earth is a magical and moving story of secrets and self-transformation, ruses and rebirths, masterfully told by a celebrated and accomplished author." 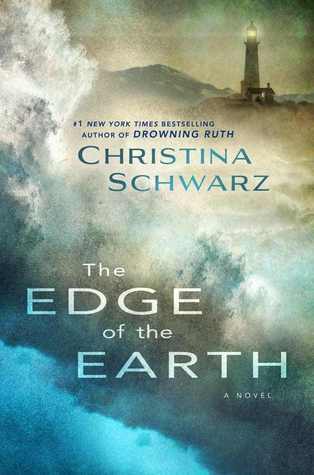 In "The Edge of the Earth," Christina Schwarz weaves a story around a remote island off the west coast in the very late 1800s. The inhabitants of the island are few but they are all connected. Even though there are very few people on the island, there is still an unknown entity there. 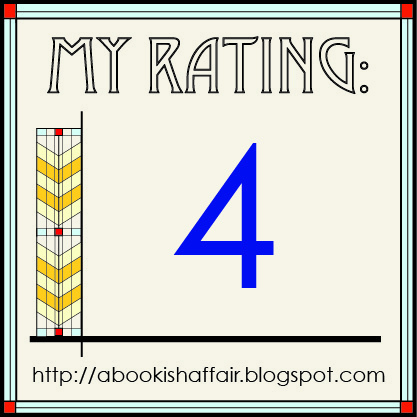 I really enjoyed this fantastic historical fiction story. This book is very much a character driven story. I enjoyed reading about the characters even if I didn't like all of them. I really liked the main character, Trudy. Trudy isn't sure that she wants the life that her parents have pretty much planned out for her. She wants something different and something more exciting. She makes a rash decision to leave it all behind and marry Oskar, who seems amazingly intriguing and adventurous. Even though they don't know each other well, Trudy follows him across the country and she has no idea just what she is getting herself into. I think we've all at some point in our life at least wondered if we were being adventurous enough. On that, I found a lot of common ground with Trudy. She's a great character and I loved seeing everything unfold on the island through her eyes. On the other hand, I hated Oskar more and more as the story progressed. He is so stubborn and pig-headed. He has no reverence for people that he doesn't understand, such as Helen, who is different from Trudy, Oskar, and the Crawley family. He's kind of terrible but I still enjoyed reading about him. I also have to mention the setting of this book. Oskar and Trudy come to Point Lucia to run the lighthouse on the island and for Trudy to teach and mind the Crawley children. Schwarz gives a great description of the island and its beaches and caves. You really feel like you can see the island! It's remote and beautiful. Overall, this would be a great pick for when you want your historical fiction with a side of fascinating characters and a great setting. 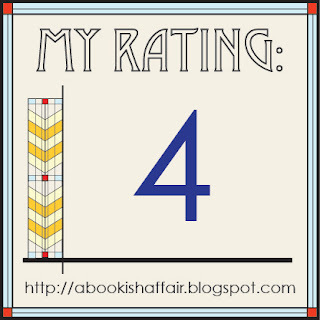 Today I'm very glad to welcome Christina Schwarz here to A Bookish Affair. The Edge of the Earth feels to me like a return to Drowning Ruth in that it’s set in the past and has a somewhat Gothic feel. Immediately after Drowning Ruth, I felt I’d exhausted my store of words and my supply of the type of scenes that would convey that atmosphere of the past. I had to write a comedy and then a contemporary relationship novel, in part simply to refresh myself. But over those years, the well that contains my excitement in the past and my attraction to people who harbor dark secrets there refilled. 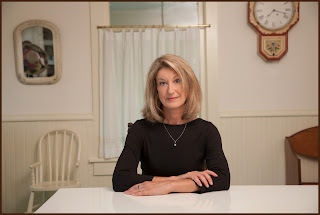 When I’m in the process of choosing the subject for a novel, my first consideration is to find an idea that will sustain me for the two years or more that I know it’ll take me to write a book. I have to feel that the dream I’m entering is so fascinating and full of surprising possibilities that I won’t get tired of thinking about it. For me, the past easily provides that sort endless interest, because you can never know for sure what happened or why. I picked the end of the nineteenth century specifically, because I wanted a time when the lighthouse at which most of the book is set would be particularly isolated, when the only contact with the outside world would have to come from the sea, and when my characters would have to wait many months even for a letter. I also wanted the freedom of a time when a person without an extremely specialized education could be convinced that he might make a great scientific discovery just by observing and thinking about the world around him. I lucked out in that this also turned out to be a time in which women were beginning to think that perhaps they need not be entirely dependent on men. In fact, that they might require something other than a husband and children to fulfill themselves. This is the period in which Kate Chopin wrote The Awakening and Charlotte Perkins Gilman wrote The Yellow Wallpaper, stories that, like mine, explore what happens when a woman feels powerfully that she can’t fit into the form society prescribed by society. Certainly society’s bounds have changed since the end of the nineteenth century, but the notion of having to buck expectations to remain true to oneself is timeless. This one is on my TBR List, I enjoyed this authors work in the past. sounds good to me. I enjoyed this one too. I also loved Trudy and hated Oskar, I couldn't understand what drew Trudy to such a bad man! I liked Drowning Ruth when I read it many years ago, so I've been curious about this one. Glad to see you enjoyed it.